Wales – land of harps and harpists! From our showroom in Cardiff, we distribute the full range of Camac harps throughout the UK and Ireland. We run an incentive harp rental scheme for adults and young learners, stock a wide range of strings, music and accessories, and operate an efficient mail order service. We can recommend harp teachers throughout the UK, and regularly support ensemble classes for young learners (and the young at heart!). 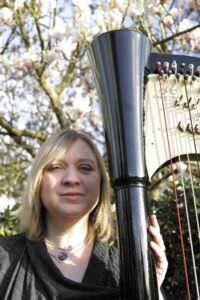 You can be assured of a warm welcome, expert advice and excellent after-sales care from Elen Vining, a harpist herself. Les Harpes Camac are the sole makers of concert harps in France. Founded in Brittany in 1972, they remain committed to domestic production, for reasons both of quality control, and social and environmental responsibility. In 2007, the French government declared Camac Harps to be an “Entreprise du Patrimoine Vivant” (Enterprise of Living Heritage). 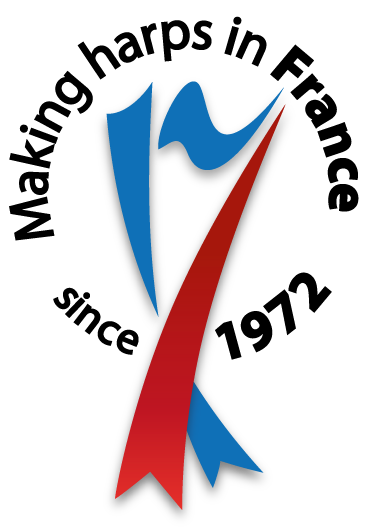 This is an award for companies who underpin the economic and cultural identity of France. 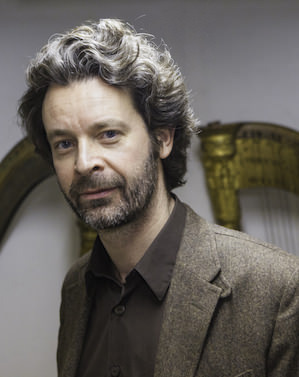 The company has paid tribute to both their French and Breton heritage: to the French tradition of fine concert harps through their Elysée and Vendôme models, dedicated to Sébastien Erard, and to their Breton roots with a large range of lever/Celtic harps. 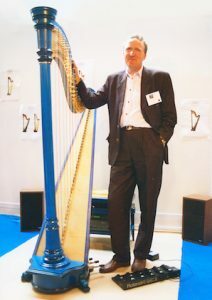 Camac Harps are renowned for their innovations in harp manufacture. Some of these overcome problematic elements of a harp’s traditional build. Camac has replaced pedal rods (which can snap and render a harp temporarily unplayable) with practically unbreakable cables, based on those in the aviation industry. The Camac double pedal action has a different disc rotation for more precise intonation; intonation is also kept more accurate through the company’s invention of a “rod tuner”, that the harpist may use themselves to tighten the pedal cables in between professional regulations. Other innovations, such as in soundbox design, have been made in order that the harps’ sound be even in all registers, and simultaneously round and clear. This is what company president Jakez François has described as “the French sound”. Camac’s electric and electroacoustic “Blue Harps” are the benchmark in their field. Their ultralight electric lever harp, the DHC Blue Light, was developed in collaboration with Deborah Henson-Conant. The company frequently works with artists to create their instruments. 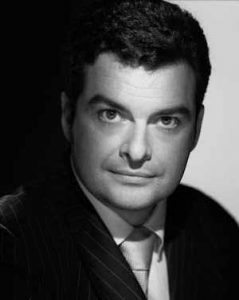 Every Camac concert lever harp model is made this way: the Stivell, with Alan Stivell; the Ulysse, with Elisa Vellia; the Excalibur, with François Pernel; the Janet, with Janet Harbison; the Telenn Kadiou, with Dominig Bouchaud. Camac has also developed a ground-breaking llanera harp for Edmar Castaneda, and an electric version of this instrument with Leonard Jacome. Click on the links to read more about Camac’s history, quality and directives.